Europe has largely been absent from the US-dominated debate surrounding the introduction of nudge-type interventions in policy-making. As the EU and its Member States are exploring the possibility of embracing nudging, it appears desirable to reframe such a debate so as to adapt it to the legal and political realities of the European Union. Besides a few isolated initiatives displaying some behavioural considerations (e.g. consumer rights, revised tobacco products directive, sporadic behavioural remedies in competition law), the EU has not yet shown a general commitment to systematically integrate behavioural insights into policy-making. Given the potential of this innovative regulatory approach to attain effective, low-cost and choice-preserving policies, such a stance seems inadequate, especially when measured against growing citizen mistrust towards EU policy action. At a time in which some EU countries are calling for a repatriation of powers and the newly established European Commission promises to redefine – in the framework of its Better Regulation agenda – the relationships between the Union and its citizens, nudging might provide a promising way forward. Much of this promise stems from the two ‘seductive dimensions’ of nudging: nudging as politics and nudging as applied social science. By injecting a new understanding of where a given policy problem lies (behaviour) and why this prompts regulatory action (behavioural market failure), nudge-type interventions are set to expand the toolbox of the EU regulator. Reliance on these additional, soft and minimalist forms of intervention may potentially contribute to reallocate the competences between the EU and Member States to the advantage of the latter. At the same time nudging carries the potential to inject a culture of testing and experimentation into EU policymaking. Rather than relying on anecdotal evidence or, what is worse, ideologies or emotions, behaviourally informed intervention requires evidence basis than conventional regulation. As such, nudging belongs to a broader trend aimed at incorporating evidence into policymaking in order to invest limited public funding into those policies that ‘work’. That is where the major promise of behavioural regulation lies in relation to EU policymaking today: a more evidence informed approach to policy development. There exist, however, significant legal as well as practical limitations constraining the ability of the EU to nudge its citizens through choice architecture. This should not come as a surprise. If nudging raises a number of significant concerns – be they about its legitimacy, legality or effectiveness – when it is performed by a nation state, it appears intuitively more difficult when it is a supranational entity, like the EU, doing the nudging. One must first observe that, largely due to the composite nature of its administration, the EU – in contrast to any other jurisdiction – has virtually no direct contact with its citizens. This is true for at least three reasons. First, most of the competences requiring states to interact with their citizens, such as taxation, welfare, defense, public health or education, have not been transferred to the Union, but remain in the hands of its Member States. Second, even when it comes to policy areas of EU competence, in the absence of a specific delegation of enforcement power to the Union, their implementation is primarily the prerogative of the Member States. As a result, the latter rely on their administrations, rules of procedure and – in the case of directives – their own solutions when ensuring the implementation and enforcement of EU actions. Third, as a result of the decentralized nature of the EU as an administration, the provision of administrative services – even those governed by the EU – to citizens is generally provided by the Member States, rather than by the EU itself. The EU’s only direct yet patchy relations with its citizens are largely confined to the management of some of its funding programmes. More critically, nudging supposes a shared, political understanding of what is ‘good’ in society, or at least of what is permissible and what is not. That’s exactly what, in principle, any sovereign state does: to decide what an ‘ideal’ or ‘worthy’ citizen is through the definition of good and bad habits. Yet when applied to the EU, such an assumption does not hold. The EU shares its citizenry with the Member States and as a result several visions of what a 'good citizen' is – or ought to be – tend to compete. Despite the limited opportunities for the EU to directly affect its citizens, the Union has over time been increasingly shaping their lives through its legislative, regulatory and judicial action. In particular, the paired instruments of the internal market and EU citizenship have allowed the European Union to redefine at the supranational level what is ‘good’ for its citizens, regardless of the country they come from within Europe. In the implementation of internal market provisions, the EU has often elevated certain moral or ethical questions beyond the national level so as to identify a European ‘correct’ answer to those (e.g. Brüstle). Moreover, in conjunction with early legislative efforts, the EU has – through its negative integration provisions – also contributed to shaping the emergence of both national and EU lifestyle policies in relation to tobacco, alcohol and diets. At the same time, while interpreting EU citizenship provisions, the EU has progressively marginalized the role of member states as providers of rights in the EU (e.g. Carpenter). Given this trend of progressive Europeanization of the ‘good life’, the question is therefore whether an EU nudging state might slow down or accelerate this process. The goal-oriented nature of EU law and its wide reliance on purposive legal reasoning make it particularly permeable to behaviorally informed approaches. Also the technocratic character of EU law-making further contributes to its embrace of nudging-type approaches, as those typically do not require the participation of citizens. Yet given the dual democratic legitimacy of the EU – which lies in both representative and participatory democracy –, this top-down, technocratic-like intervention might prompt resistance to nudging. Unlike in the United States, the major source of political sensitivity in the European Union is not the paternalistic nature of the intervention. Rather it is the source of that intervention (EU or national). Should behaviourally informed approaches be capable of contributing towards the downsizing of EU action – by limiting its reach or perceived impact on citizens’ daily life – to the benefit of the Member States, this may pave the way to their success in the European Union. In other words, the fate of nudging in the EU appears as intertwined with its political dimension as it is with its social-scientific one. A Alemanno and A Spina, ‘On the Checks and Balances of Behavioural Regulation’, International Journal of Constitutional Law, Volume 12, Issue 2, 2014. D Kochenov, The Citizenship Paradigm, University of Groningen Faculty of Law Research Paper No. 08/2013. 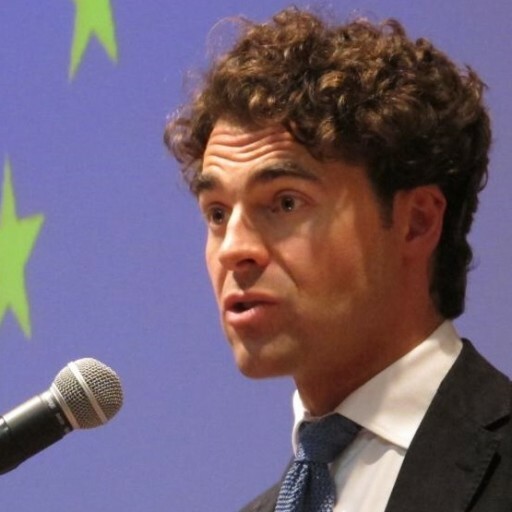 SUGGESTED CITATION Alemanno, Alberto: Nudge and the European Union, VerfBlog, 2015/1/12, https://verfassungsblog.de/nudge-european-union-2/.